As impressive on-road as off, the ZR2 is ready to tackle anything. The first time the Chevrolet Colorado ZR2’s stainless-steel rock rails screech against rubble on the Bangs Canyon off-road trail, I wince. But I needn’t worry about damaging those when I recall what Colorado engineer Tim Demetrio put them through. Unconvinced that the rails, which mount to the truck’s body instead of to the frame like most aftermarket units, would be strong enough, he tried – and failed – to break them. “I was dropping the truck off ledges to bend them,” he says. Yet no matter what, the rails held tough. 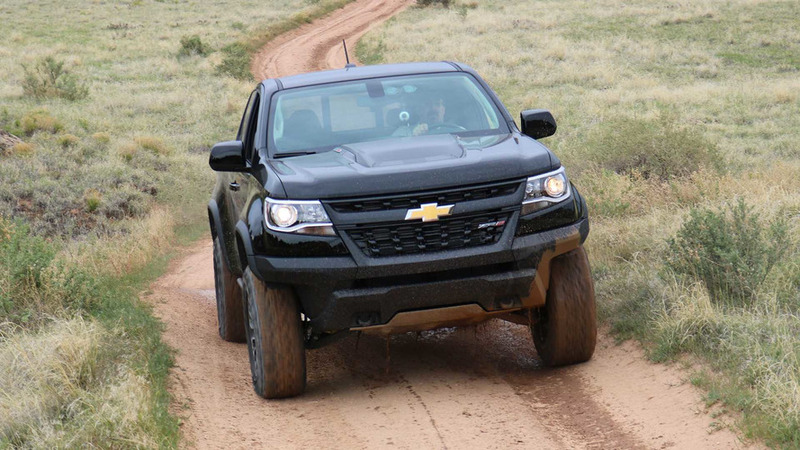 That ethos explains exactly how Chevrolet approached the task of turning the ZR2 concept, shown at the 2014 Los Angeles Auto Show, into this production off-roading machine: Do everything right to improve capability and durability, not just for looks. Visually, though, the most obvious difference is the new front fascia that exposes new wheels and tires to improve the approach angle significantly to 30 degrees (versus 17.1-17.7 for other models). 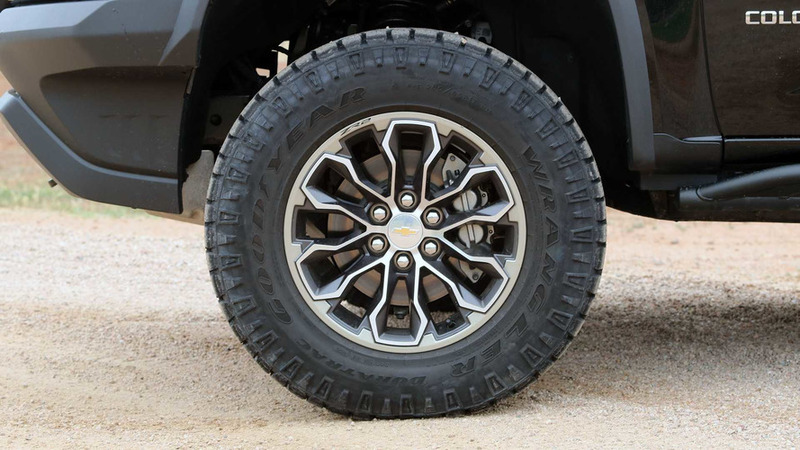 The 17-inch wheels are unique to the ZR2, there are subtle ZR2 decals on the bed, and you can see the exposed aluminum skidplate that protects the engine and radiators. But as off-road specials go, the ZR2 is relatively subdued on the outside. It’s underneath that Chevrolet pulled out the metaphorical big guns. New front control arms and steering knuckles, along with new rear leaf springs, help lift the ZR2 by two inches and increase its track width by 3.5 inches. Mechanical changes also include a skid plate over the transfer case, a new aluminum driveshaft (six millimeters longer than stock), new shock absorbers from Multimatic, softer front springs, a new solid front anti-roll bar, front and rear electronically locking differentials, and larger 265/65R17 Goodyear Wrangler Duratrac tires. The dampers can cope with severe off-road use without compromising the ride-and-handling balance on the drive home from the trail. 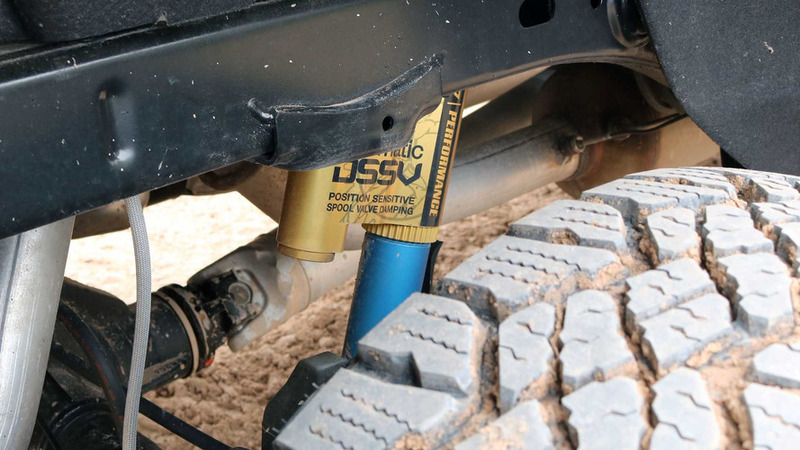 Those Multimatic DSSV (Dynamic Suspensions Spool Valve) dampers are key to the ZR2’s ability to work both on paved roads and on rough terrain. “They make us stand out in the segment,” says Demetrio. The dampers can cope with severe off-road use without compromising the ride-and-handling balance on the drive home from the trail. There are essentially three sets of rebound/compression curves in the dampers; as the piston moves through its stroke, various oil passages and valves open and close to switch between them. 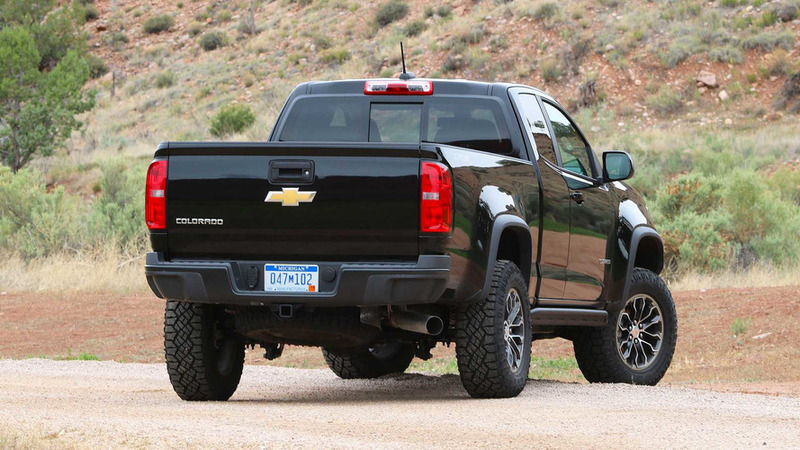 So when the truck is at its typical ride height, driving on-road, it is damped similarly to how the Colorado Z71 would be. But at full droop or full compression, i.e. over big off-road impacts, completely different damping curves are employed to cope with those events. 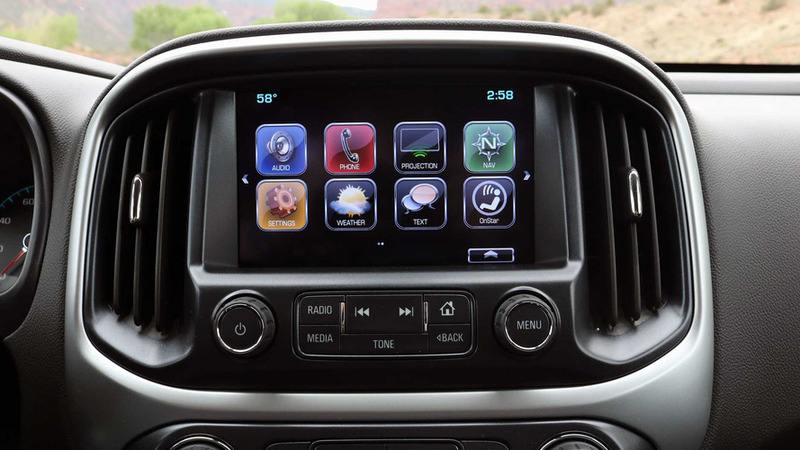 All of this happens automatically – no tweaks needed or possible from the driver. 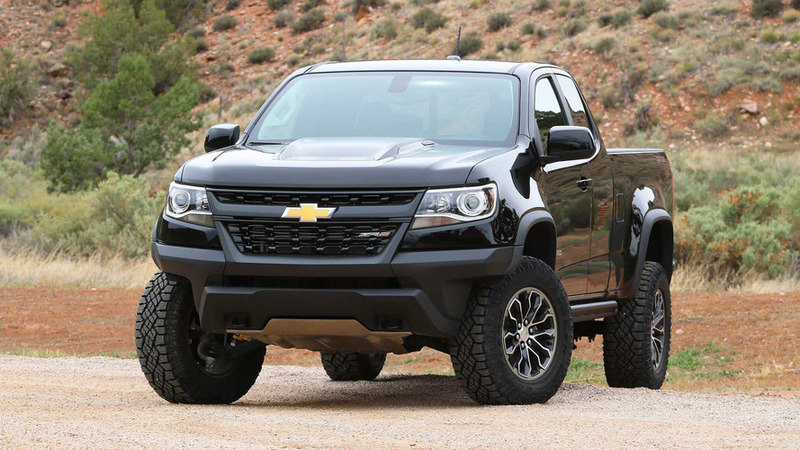 Some brief Multimatic trivia: the Canadian company also makes the ZR2’s door hinges and cast-iron control arms. The ZR2 is only the fifth road-legal car for which Multimatic has provided its dampers; the previous ones were the Aston Martin One-77, Chevy Camaro Z/28, Ford GT, and Mercedes-AMG GT. So the Colorado will be, by far, its highest-volume street car. What it all means on the drive from Gateway Canyons Resort to the nearest trailhead is that the Colorado ZR2 behaves, well, normally on the road. The damping is surprisingly firm, so the front end jitters over bumpy roads, but the body roll and floatiness I expect from trail-ready trucks is totally absent. At 65 miles per hour on sweeping country roads, the ZR2 tracks smoothly and confidently through turns, taking a set and holding it without any hassle. Lane changes at freeway speeds are a non-event. Even the knobby tires only make themselves known by a slight background thrumming. Those tires grip like flypaper once I turn onto the mix of rocks, sand, dirt, and, once it starts raining, mud that make up the Bangs Canyon off-road trails. The ZR2 soaks it up with ease. That new front fascia means you can drive the truck up and over big obstacles without scraping the bodywork, thanks to the impressive 30-degree approach angle. 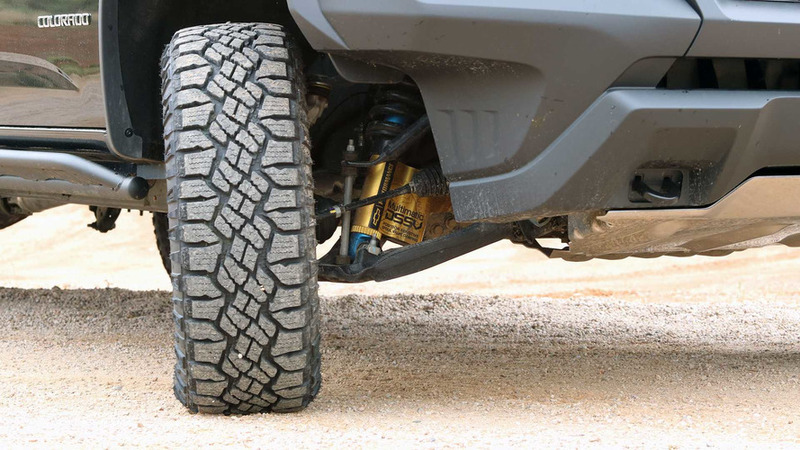 There’s plenty of suspension travel at both ends for the truck to flex over uneven ground, and the shocks just eat up every impact. You can hop off a ledge without banging into the bump stops, scrabble over rocks without being flung around in the cabin, and power over rough ground without feeling like the truck will bounce out of control. It’s all remarkably comfortable for this kind of off-road work. That new front fascia means you can drive the truck up and over big obstacles without scraping the bodywork, thanks to the impressive 30-degree approach angle. There’s a page in the color trip computer that shows the truck’s inclination, your steering angle, and which four-wheel-drive mode is in use, all of which are handy details. 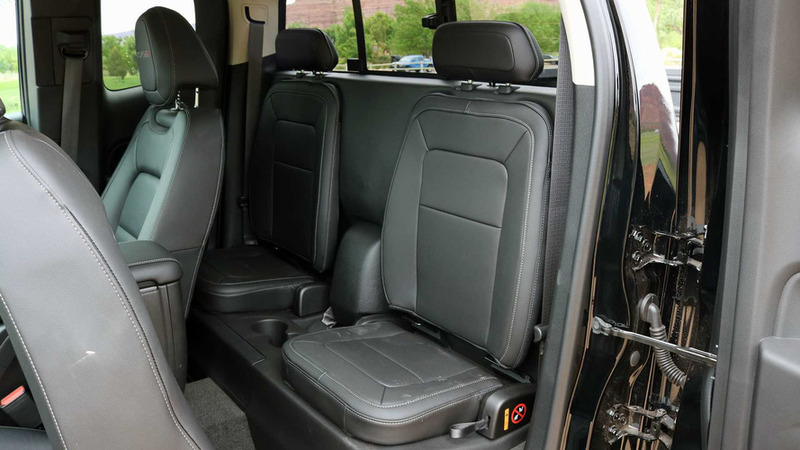 Though unlike some new trucks, there are no forward-facing spotter cameras to help you pick your line; adjust your seat appropriately for the best view possible. Fortunately the ZR2’s relatively compact size (compared to a Ford F-150 Raptor, for instance) makes navigating the trail pretty straightforward. The final challenge of the day is driving up big “stair step” rock formations. It looks pretty intense, even with a trio of spotters gesturing to guide me in the right directions. But, I’ll be damned, the ZR2 makes it easy. Engage 4-Low, push the toggle switches to lock both axles, and the truck will essentially walk up each of the big steps with some gentle throttle application. It doesn’t even scrape any metal parts in the process. The lockers are made by Eaton to fit into the truck’s Dana axles, and are related to the ones used way back when in the Hummer H3. But what you need to know is they work flawlessly. 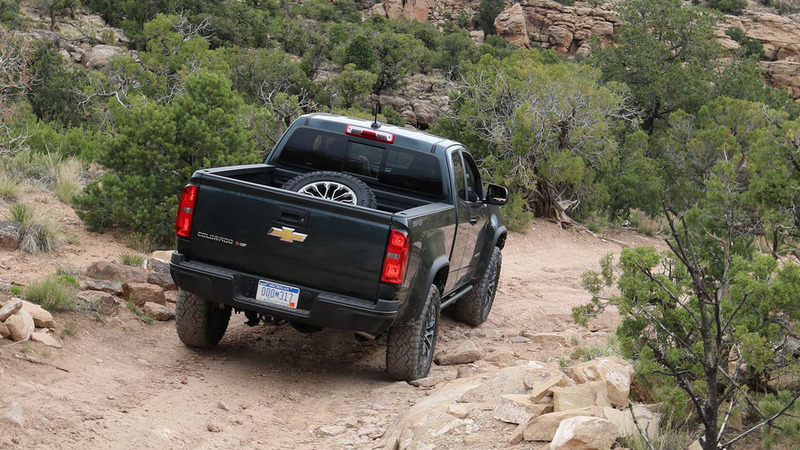 Chevy engineers also took time to point out that the ZR2’s off-road features are all built into the truck from the start, meaning they all work together in a way aftermarket parts can’t. There are 32 different calibrations for the ABS and stability control, for instance. Those systems must operate differently if the rear locker is engaged in two-wheel-drive mode than in four-wheel-drive mode, and both systems are disabled completely if the front locker is turned on. And the rear locker can only be used below 25 mph, while the front can be engaged only in 4-Low – i.e. only while driving slowly off-road. 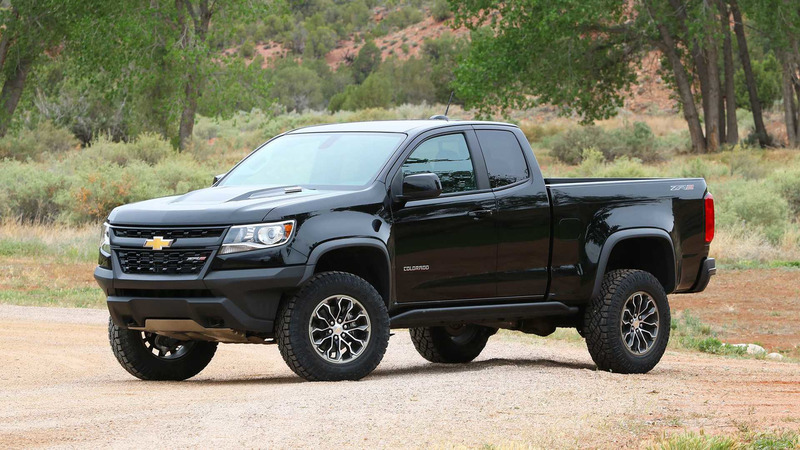 The Colorado ZR2 I drove was powered by the optional 2.8-liter Duramax turbodiesel engine ($3,500 extra). With only 186 horsepower and a six-speed automatic compared to the V6 model’s eight-speeder, it’s not hugely quick on the open road. But crawling up steep hills and punching through mud is fantastically easy when all 369 pound-feet of torque hit at just 2,000 rpm. Yes, the diesel rattles and clatters pretty much all the time, but hey, this is a truck. 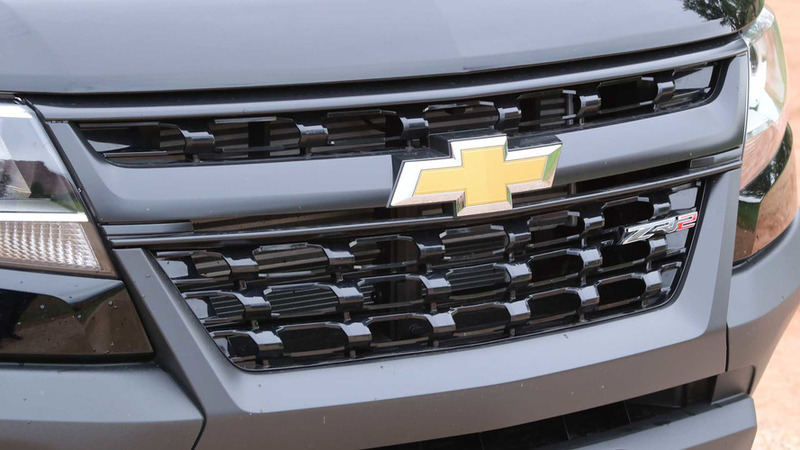 Although the Duramax accounts for only 10 percent of Colorado sales overall (and the V6 around 75 percent), Chevy officials expect the gas-diesel split will be about 50-50 for ZR2 buyers. Crawling up steep hills and punching through mud is fantastically easy when the diesel engine's 369 pound-feet of torque hit at just 2,000 rpm. Tow ratings also suffer, falling to just 5,000 pounds compared to 7,000 for regular V6 or 7,600 pounds for diesel non-ZR2 models. 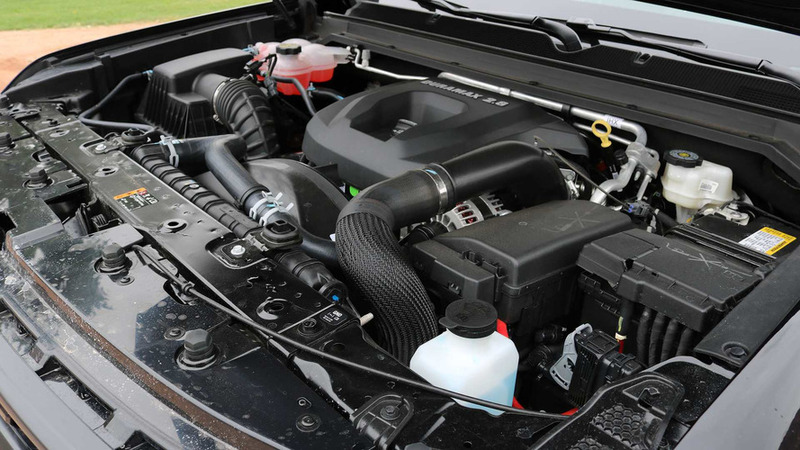 That’s a cooling issue, says Demetrio: the ZR2 front fascia doesn’t produce as big a low-pressure zone beneath the truck’s engine bay, so in deference to strenuous towing situations (e.g. the infamous Davis Dam test) that could cause engine temperatures to spike, the tow rating was lowered. 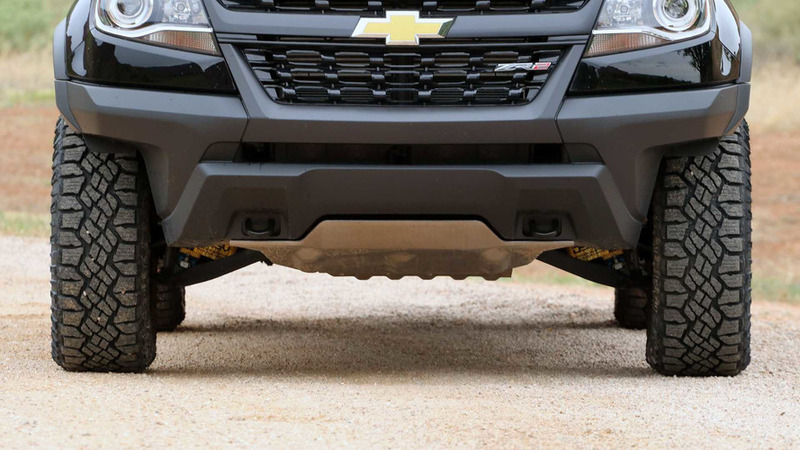 And, with all the aforementioned add-on parts, the ZR2 is heavy, adding a few hundred pounds. 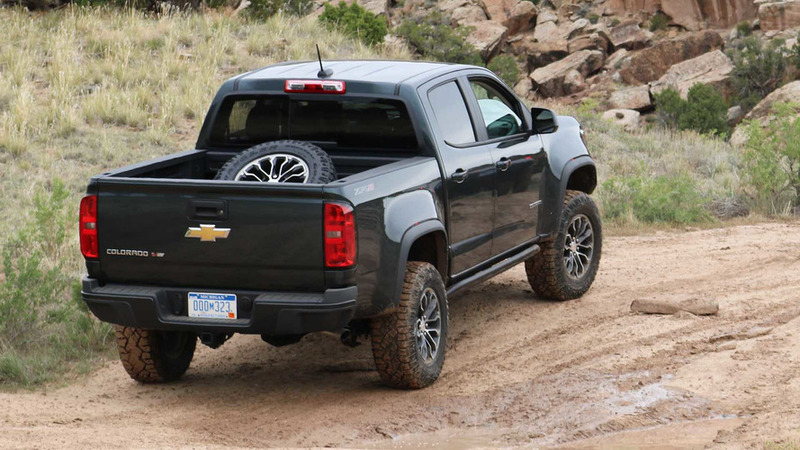 Curb weights range from 4,693 to 4,985 pounds, depending on cab style and engine, whereas Chevy lists the base Colorado’s curb weight at 4,167 pounds for a 4x4 Extended Cab and 4,419 for a 4x4 Crew Cab. 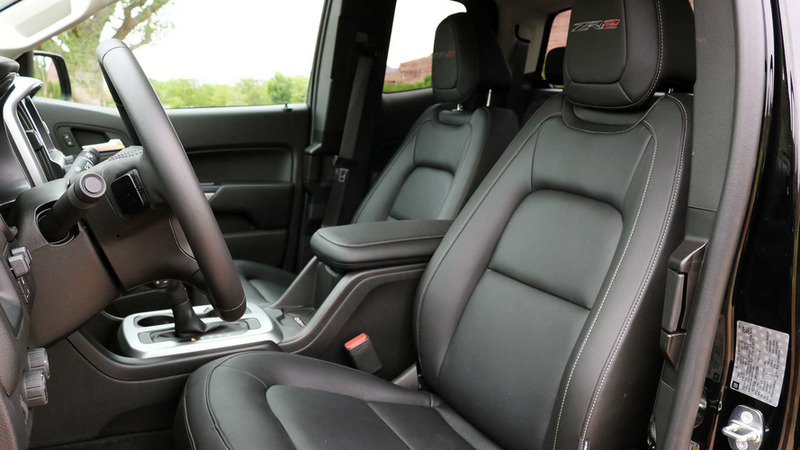 Pricing starts at an even $40,000 before destination charges, undercutting the Toyota Tacoma TRD Pro, which is perhaps the ZR2’s closest rival. 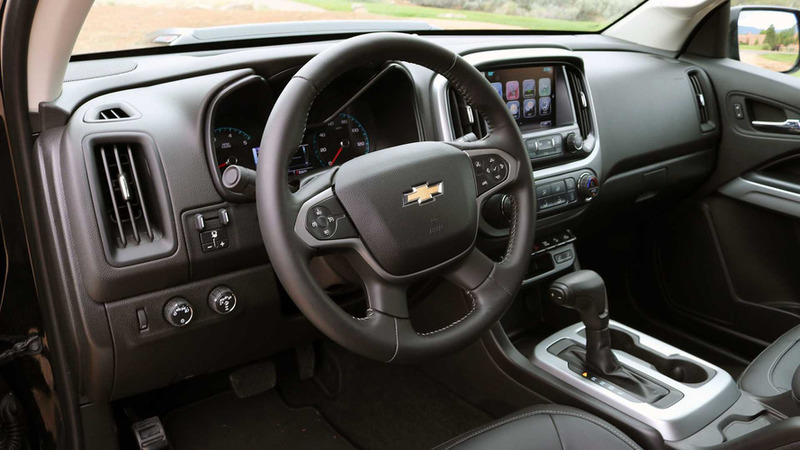 Standard features include an eight-inch touchscreen infotainment system, a backup camera, four USB ports, a spray-in bedliner, remote start, and so on. Buyers can pick between the Extended Cab you see here and a Crew Cab model (the latter is offered only with the shorter of its two box lengths), and then between the gas and diesel engines; four-wheel drive is standard. Options include a bed-mounted spare tire, which doesn’t change the truck’s 23.5-degree departure angle but still looks cool, and a seven-speaker Bose sound system. 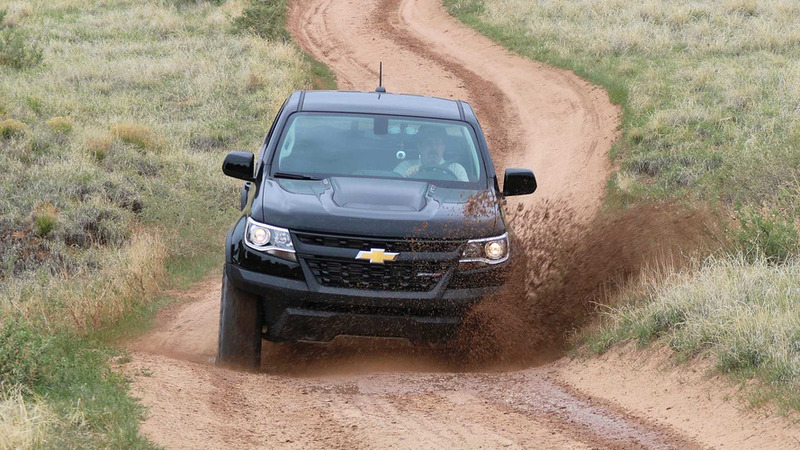 The incredible thing about the Chevy Colorado ZR2 is not that it can ably tackle challenging trails. It’s that it can do so without issue while simultaneously providing an outstanding ride-and-handling balance on the drive home. So many times I’ve driven off-road trucks that were incredible on the rough stuff but a mess on highways, or vice versa. The ZR2 aces both challenges. Its modest size also lets it fit through trails that would trip up a Ram Power Wagon or Ford F-150 Raptor. 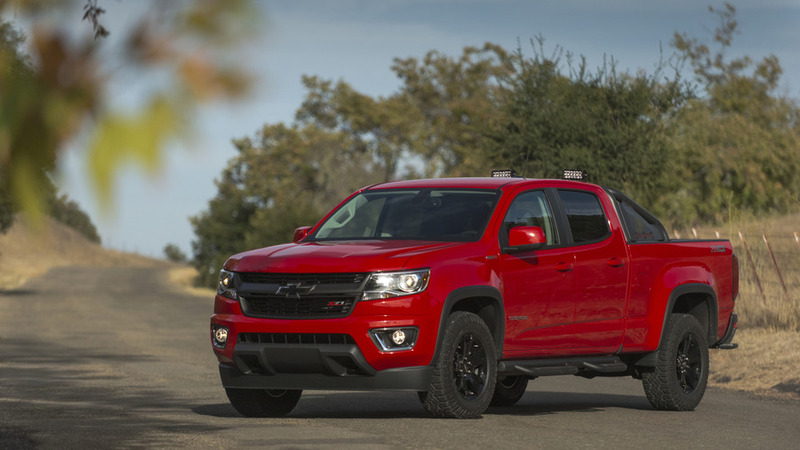 As an everyday truck that will never flinch when you take it away from the urban jungle, the Colorado ZR2 excels.